Unexpected mysteries and perils confront the good crusader when on a noble quest. The unholy creatures that have attacked your legs need no mentioning. 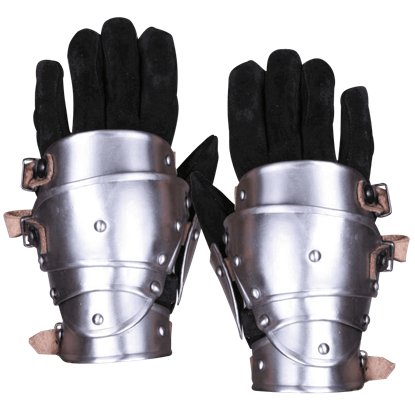 Safely enclose your shins in the strong defense of the Edward Steel Greaves. 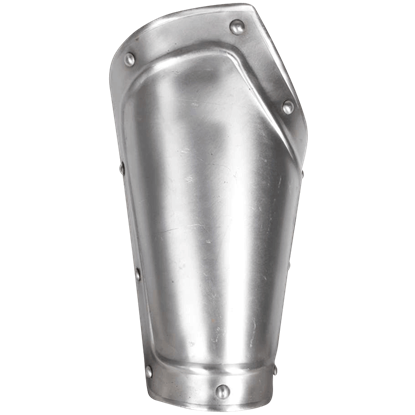 Entrust your lower limbs to these well-crafted steel shin guards. 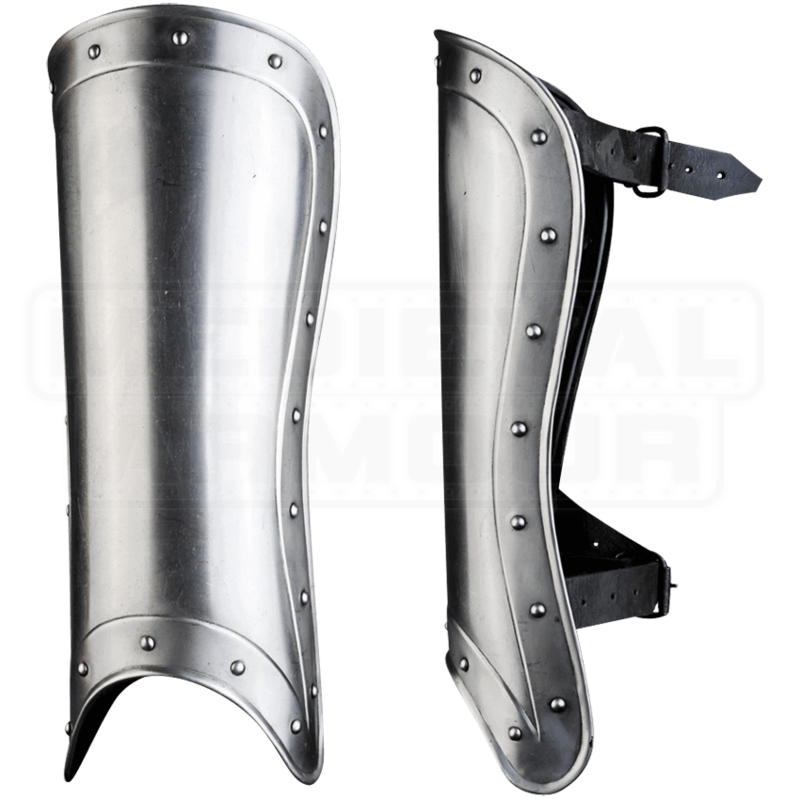 The wide diameter of this pair creates a perfect fit over trusted padding and chainmail. Rivets decorate the detailed edging of this stylish medieval armour. 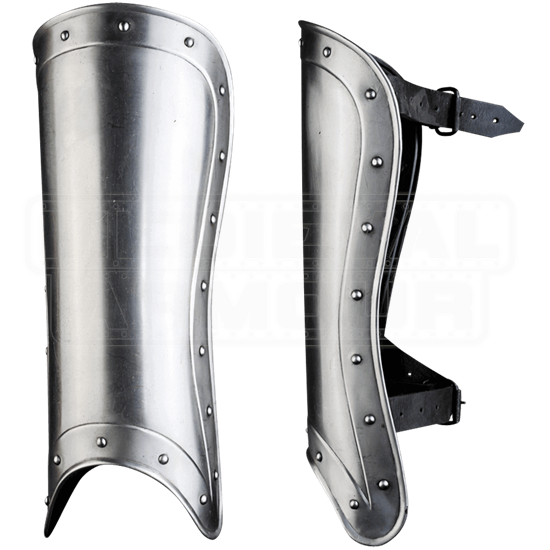 Complete your LARP look by combining these greaves with the rest of the Edward steel armour.